Mizuno Wave Mujin 2 Review - To Buy or Not in Apr 2019? Mizuno is a fairly popular brand, especially with running shoes. Japanese based, and with a long history, Mizuno makes all sorts of sportswear and sports products, even outside of running. The Mizuno Wave Mujin 2 is one of Mizuno’s trail running shoes and is designed as a lightweight trainer. The Wave Mujin 2 might not be the most current iteration of the Wave Mujin, but is still a very respectable shoe, offering good technology and useful features. The outside bottom of a shoe, or the outsole, is a very important piece that provides grip and traction, and also is a key component in durability. Mizuno Wave Mujin 2 has an outsole that is made of Mizuno’s X10 material. X10 is composed of rubber of the carbon variety, a common choice for outsoles due to its durability. The X10 also provides good traction, which is especially useful on trails. The outsole also contains lugs, dubbed Xtatic Ride lugs, that are designed to provide extra grip on various surfaces. Lugs are seen frequently on trail shoes, as they help traction with varied terrain in particular. Finally, the outsole features a Wet Traction design, which, as its name suggests, helps provide traction in wet areas. The outsole overall offers many useful features that contribute to a better trail running experience and is one of the stronger parts in the Wave Mujin 2. The upper is the area above the foot that has the job of keeping the foot secure while running, giving solid support, and remaining flexible. 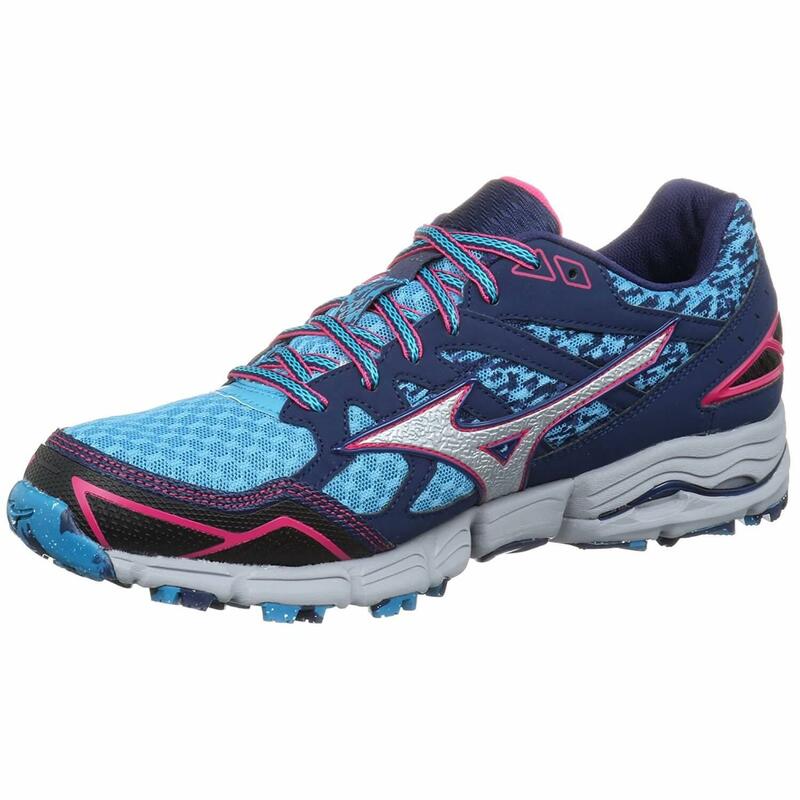 The Mizuno Wave Mujin 2 has an upper that is fully mesh design. Mesh is a common choice because of the inherent properties that make it breathable and flexible. Mizuno’s mesh design is called AIRmesh fabric and is supposed to be lightweight and also allow good circulation. Above this, the upper features a water-resistant mesh. This is very useful for random puddles and wet terrain and preventing wet feet and shoes. It should be noted that the upper is not fully waterproof, so it will not do well if submerged in water. The upper also features overlays, another standard choice for uppers, that secure the footwell and provide some stability. Finally, the forefoot area features Dynamotion Fit technology, which makes it more elastic, and thus more comfortable of a fit. The upper is jam-packed with solid components and is a very good design for a trail shoe to maximize breathability and protection from the elements. Weight, though it might not seem it, is a big part of purchasing running shoes. Lighter shoes tend to fare better with those who prefer more minimalistic running, whereas heavier shoes are better suited for those who prefer more cushioning. The Mizuno Wave Mujin 2 is not exactly a lightweight shoe, though it definitely leans on the lighter side. At 7.8 oz for men, the Wave Mujin 2 is definitely not a heavy shoe. Especially when compared to other trail shoes, the Mujin 2 is impressively light. Weight should probably not be an issue for most runners, except for those seeking extremely minimalist shoes. Breathability is essentially the way that air flows throughout a shoe. This is necessary for preventing sweaty feet and potentially blisters. 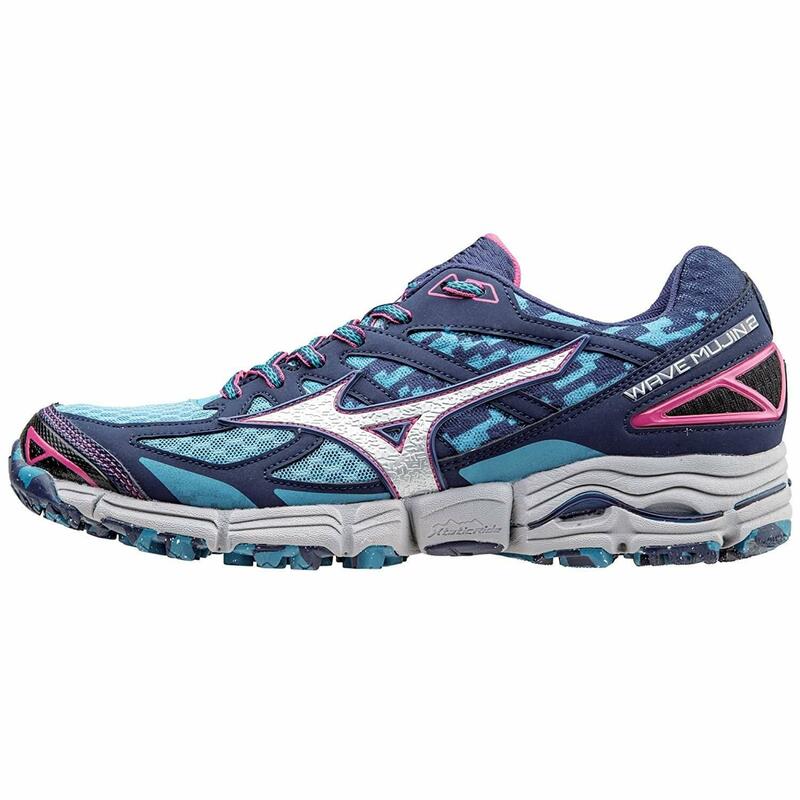 The Wave Mujin 2 has fairly good breathability, primarily due to the upper. Breathability tends to be tied heavily to the upper, and this is true here as well. The mesh design allows air to flow throughout the shoe well, because of the holes weaved into it. As a whole, this allows for enough circulation to make the Wave Mujin 2 a breathable shoe. Comfort is certainly something to look at when purchasing shoes. Uncomfortable shoes are definitely not fun to deal with, especially for runners. The Mizuno Wave Mujin 2 is comfortable, however, mainly due to the upper and the midsole. The comfort in the upper comes from the comfortable fit with its snug mesh design with overlays, but at the same time allows for flexibility and a good range of movement. This paired with the forefoot Dynamotion, and the overall breathability given by the upper make the top of the shoe very comfortable. The midsole adds to the comfort via its AP+ material and the Mizuno Wave plate. Both of these provide great cushioning and help to stabilize every step by dispersing energy properly, and in turn make for a very comfortable stride. These two components, the upper and midsole, make the Wave Mujin 2 a pretty comfortable shoe. The styling of Mizuno shoes tends to be very similar to the fashion styles of other popular running brands such as Asics or Brooks. They generally offer a myriad of colors, mostly bright combinations, with a few discrete colors for those who prefer them. 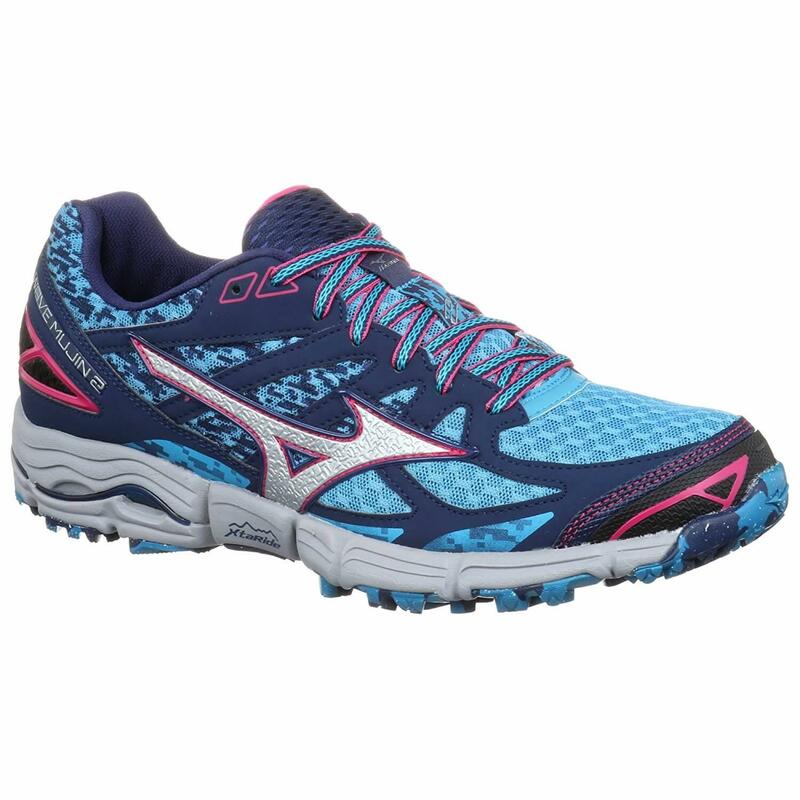 The Wave Mujin 2 follows this trend and is available in bright blues, yellows, and purples. In terms of styling, the Wave Mujin 2 does not stand out too much and looks like as a trainer would be expected. For everyday use, it will probably be a bit more challenging, but for running, the Wave Mujin 2 is definitely stylish enough. Durability is another important angle to consider when looking at new shoes. No runner wants to be purchasing shoes over and over. The Mizuno Wave Mujin is a pretty durable shoe, but there are some caveats to that. The outsole is durable thanks to the X10 carbon rubber material. Carbon rubber can take a lot of pounding, making it a good choice in terms of durability of the outsole. The midsole AP+ material used is also fairly durable, capable of retaining its shape even after repeated use, which is very important for a midsole. The main source of complaints regarding the durability of the Wave Mujin 2 stems from the upper. Some runners have complained that the upper did not last as long as expected, which obviously caused issues using the shoes. The lifespan of the Wave Mujin 2 is solid, but those who might have had issues wearing out uppers before should probably take note. In terms of protection, the Wave Mujin 2 is definitely solid. The main areas of the shoe that provide protection are the upper and the midsole. The upper contributes with its mesh design and overlays. These hold the foot in place and protect it from erroneous movements that could cause injuries. The water resistance in the upper is another useful source of protection. The midsole contributes through its AP+ design. This design, which uses copolymer, a material that is good at absorbing shocks and impacts. Adding upon this is the Wave plate located underneath that adds even more protection and redistribution of shock. Protection in the Wave Mujin 2 is definitely adequate for a trail running shoe. Responsiveness can be thought of as the energy return of the shoe every time that it impacts the ground. The Wave Mujin 2 has fairly good responsiveness, mainly thanks to its midsole. The midsole tends to be the determining factor in a shoe’s responsiveness, due to its position in the shoe. This holds true here as well. Luckily the materials in the midsole of the Wave Mujin 2 are pretty good at facilitating energy return. Again the AP+ midsole comes in with its copolymer material. This design does well at transferring the energy from every stride, giving each step a responsive feel. The wave plate helps with this as well, allowing energy from the impact to be distributed in a more efficient way. The responsiveness overall in the Wave Mujin 2 is good thanks to the wave plate, and AP+ midsole. The Mizuno Wave Mujin 2 is a fairly supportive shoe. Support in this shoe mainly stems from the upper and the midsole. The upper does a pretty solid job at providing the foot support, mostly through its overlays. Overlays over the mesh on the upper have the benefit of adding extra support to the top of the foot, by stabilizing the foot and securing it from above. The midsole contributes to support mainly through the wave plate. The wave plate provides support through its ability to redistribute the energy of each step and also provides a bit of extra cushioning that supports the foot well. As a whole, the Wave Mujin 2 offers plenty of support through its upper and midsole. The Wave Mujin 2 is primarily designed for trails, and will excel in trail terrain, dirt, grass, and most natural terrains. It probably is not suited for more extreme terrains like ice or very rocky areas, however. The Wave Mujin 2 is also very usable on common city terrains like roads and sidewalks, which is a handy bonus. Water also should not be an issue so long as it is not excessive and caution is exercised. The Wave Mujin 2 can be found at a decently low price, especially for a trail shoe. This is mostly due to the fact that it has been out for a while and the fact that the Wave Mujin 3 exists. That said, for what the shoe offers, the Wave Mujin is still a very solid shoe, and if found for its lower price, is definitely worth the cost. Traction is the grip of running shoes on various terrains. The traction of the Wave Mujin 2 is fairly good, as is to be expected of a trail shoe. The main factor in this is the outsole, which is made of Mizuno’s X10 carbon rubber material. This material is designed to grip surfaces well, and definitely does its job. 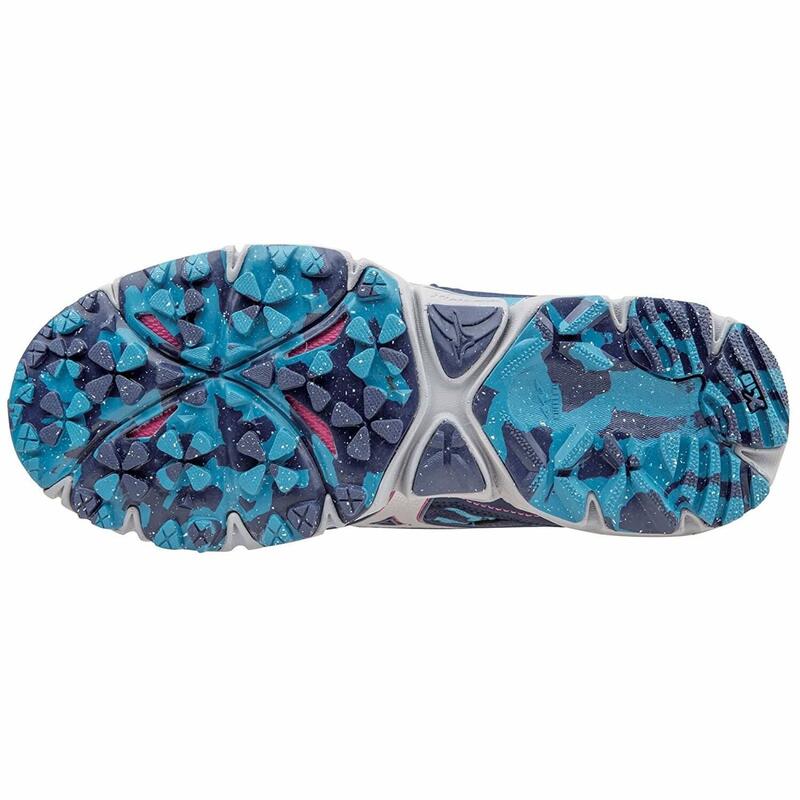 The Xtatic ride lugs on the outsole also are very useful in facilitating traction, by helping out the grip on uneven surfaces. Overall, the traction on the shoes is definitely good. The more stable a shoe, the better it is at preventing injuries from twists or missteps. The main proponents of stability in the Wave Mujin 2 are the upper and the previously mentioned wave plate. The upper provides stability through its securing of the foot from above, through both the mesh design and overlays. The wave plate is a big part of the stability of the shoe, as that is one of its primary goals. The wave plate redistributes the force applied to it, making each step more stable as a result. These are the two main features that contribute to stability, and they do a fairly decent job at promoting stability in the Wave Mujin 2. The heel height, also known as drop, on the Wave Mujin 2 is 11mm. 11mm is right around the range to be expected for a trainer of this type. Overall, the drop should probably not be a point of contention for most runners. Overall, the Mizuno Wave Mujin 2 is a pretty decent shoe. Despite not being the most recent iteration of the shoe, the Wave Mujin 2 still offers very unique and useful features. It’s upper, midsole, and outsole are definitely all strong aspects of the shoe. As a whole, for anyone seeking a decent trail runner at a decent price, the Wave Mujin 2 is a good choice.